Finally visited Fukui, prefecture that's located part of Chubu region. Though i was abit sad that i couldn't spend more time here due to time constraints as they have other places to visit as well like Tojinbo (the cliffs by the sea is amazing, go google the pics!) and many other local attractions but at least i managed to visit their prefectural Dinosour museum. Located abit out of the city area but getting here isn't too hard because everything is pretty straight to the point once you reach Fukui station. Always love having my bento when riding the Shinkasen even though the trip is a short one. Utilizing my Takayama Hokuriku pass, i traveled down from Kanazawa station via the shinkansen ( it's worth 3000 Yen+ per trip) for free as it's covered under the pass. 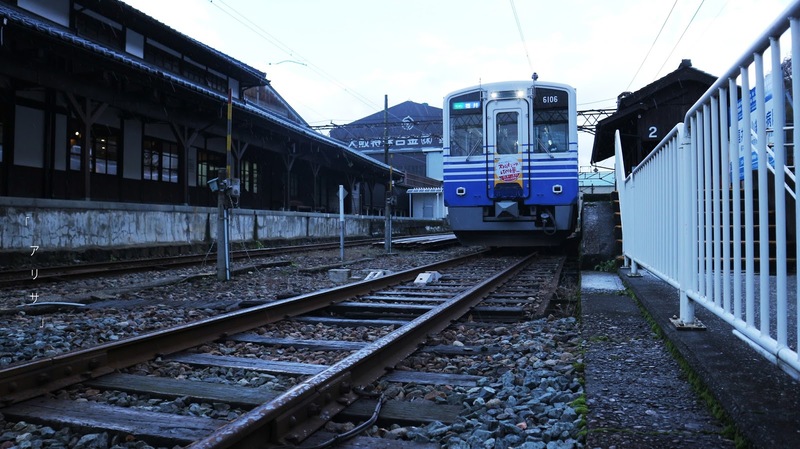 But from Fukui station you'll need to take the local line (not covered by pass) and bus to reach the museum. This pass saves us alot on each train ride on the shinkansen, starting from Kyoto Takayama Hokuriku pass covers all the way to Nagoya but you'll have to pass through Fukui, Kanazawa, Toyama, Takayama, Gokayama, Shirakawa-Go before ending at Nagoya. Valid only for foreign visitors. 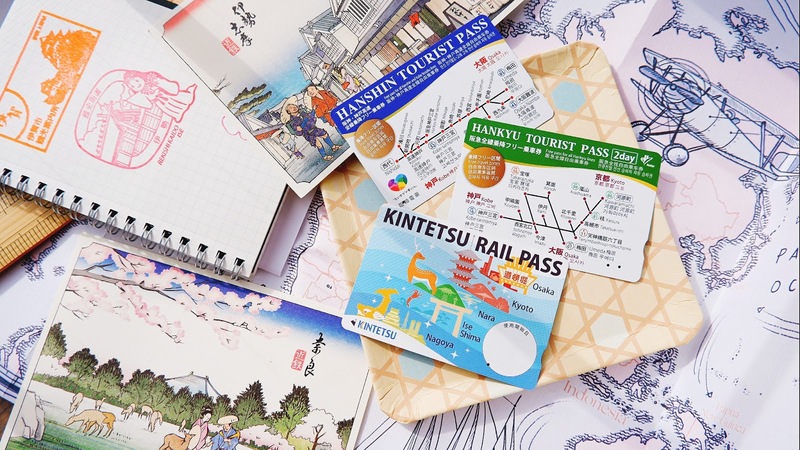 Though it doesn't cover private train lines, this pass's main function is to allow travelers to cover wider parts of the region using the shinkasen as it is a quick way to get from one destination to another and without the Takayama Hokuriku pass it can be quite expensive. Over there they offer a bundle package that covers the entire trip (to and fro) and entrance fees to the museum as well. For adults it's 2,120 yen and for children and students it's lesser. The shuttle bus from the station to the museum takes about 15 mins and there is also a bus schedule for it so you don't have to worry about missing the bus, it's Japan its 99.9% punctual lol. And i have to warn you guys that this area can get very cold towards the end of autumn because it's near the mountain side area and just a day after i left their first snow fell! Explains the cold harsh winds and constant shivering despite the layers lol. Aside from my love for Japan and fashion, there are other things that i'm passionate in as well, that is history. I know of all things why a boring subject right? Lol, but history isn't boring, in fact it's rather fascinating and if i was given a chance to study again i would take up archaeology, actually that was my first choice followed by fashion but it was hard to find a college that offered archaeology courses here in Malaysia, definitely need to leave the country for it and that that point of time i could only afford to study local (paid on my own). 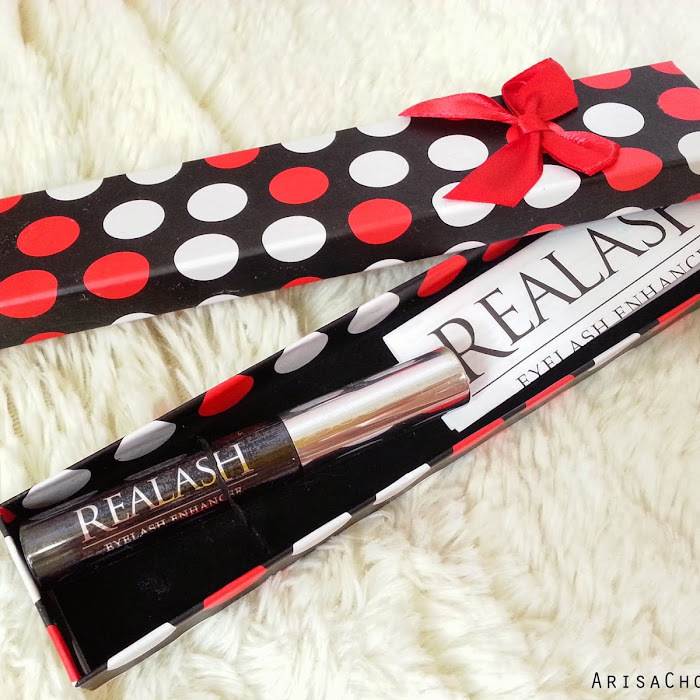 This is just so amazing! Beats reading the encyclopedia any day, seriously. This is my first time seeing actual skeletal remains of dinosaurs upclose, proving the fact that they did roam the earth before man kind came into the picture (sorry dad your Adam & Eve bible argument isn't valid here already lol) . I would gladly dedicate my life to excavation and research, be out there in the field studying and writing about the unknown. Probably in an alternative universe i might be doing that, just that the present one we are in presents the opposite of it lol. Upon entering a T-REX will greet you, looks super duper realistic! When i did my live insta stories of this place i had quite a number of response asking where is this place because it isn't usually highlighted in blogs or our local travel magazine since Fukui prefecture isn't as famous compared to Tokyo or Osaka. But that's the beauty of prefectures that are slightly abit off the usual course, they have much more to offer than what the city has like a beautiful nature scenery and landscapes, unique local activities and best of all it isn't crawling with tourist that makes you want to pull your hair out especially when you are travelling with children and elderly people. Katsuyama is known as the "Dinosaur Valley" of Fukui prefecture where Fukui Prefectural Dinosaur Museum is now located at, it's because large amount of dinosaur fossils were found here during the excavation back in 1989. This land has contributed a great amount of scientific value to archaeologist and researchers about the prehistoric era. And this Geopark is also acknowledged and protected by UNESCO! 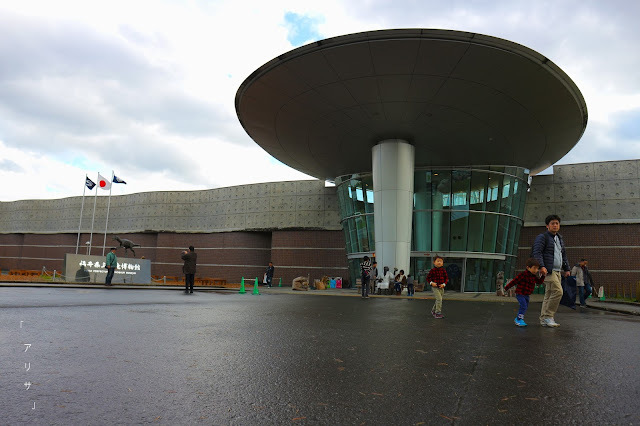 Fukui Prefectural Dinosaur Museum is a great place this school holidays (Malaysians) if you are already planning to drop by Kanazawa and Gifu, might as well make a brief stop at Fukui for a memorable and fun visit with the dinosaurs. This museum is so advance that you can also see a few real life scale animated dinosaur roaring and moving around its compound, best crowd interaction ever because normal ones you'll only get documentaries playing and some bones on display but this is Japan, nothing is settled at "normal" lol. Founds quite alot of local families that come here, mostly they would drive up (more convenient) as there is an open parking lot right outside the museum. Enjoyed myself so much reading about each and everyone of them, how they were discovered, their life before extinction and to read about it in Japanese version does make it more challenging for me, still fascinating nonetheless, it's a reminder to myself that i should read more to quicken my reading speed lol. The day spent here was practically me going through memory lane, all the things that i've thought that has been long forgotten over the years just flooded my brain like it was a recent memory. The same feeling one gets when meeting an old friend. All those nostalgia feels. It moves, it roars, luckily it doesn't run or else i would have fainted lol. The original "duck face", this was definitely before Kylie Jenner's duck lips lol. Yep turtles used to be this huge! Best to spend a full day in this area because after you are done with the museum you can walk around the area to take photo like this mini hill just beside the museum.
. While you explain about how you got extinct, let me share that on social media. Right beside the bus stop stand there is a make shift tent selling these cute Dinosaur shaped "taiyaki"
I do have to highlight that there isn't any restaurant near this place except a convenient store which you can grab some quick bites and some souvenirs to bring home as well, so best to pack your own meals or eat before coming. Definitely would love to come back here again one day to explore the area properly and maybe i'll drive the next round so i can visit more places around the area, Fukui is so beautiful and i'm wondering why hasn't any of my friends been here before! So please go to Fukui if you are planning to go Kanazawa/ Gifu, you won't regret coming here for a visit.